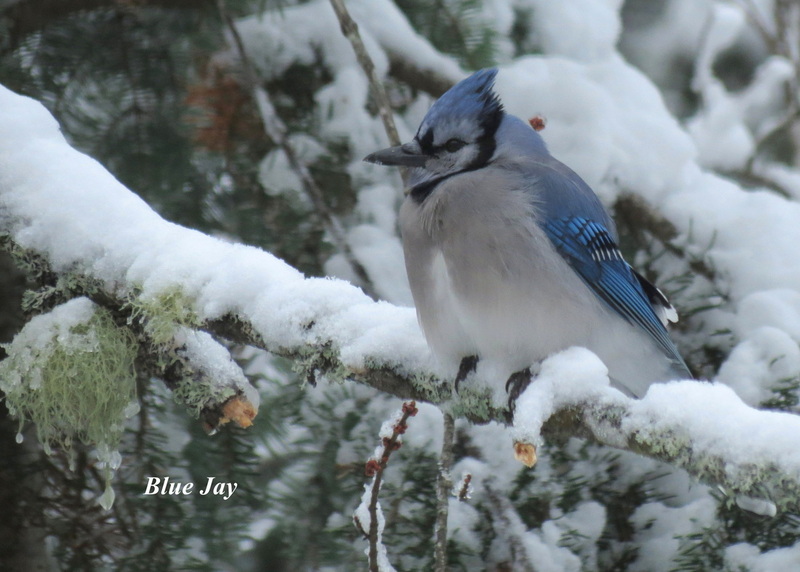 Blue Jays live in our area year round. They are beautiful blue birds with a crests on their heads. Larger than a robin and noisy, they are hard birds to miss.